When they ask you where you heard it first, you better say Real Reality Gossip! Back in January, I reported that Erica Dixon had broken up with her unemployed thirst deprived boyfriend O'shea Russell. And yes, I was the first blogger to announce the breakup *takes a bow* thank you, thank you! Some of y'all didn't believe me though (check the comments of the breakup post here). Then Valentine's Day crept around and Erica spent the holiday away from Oshea. 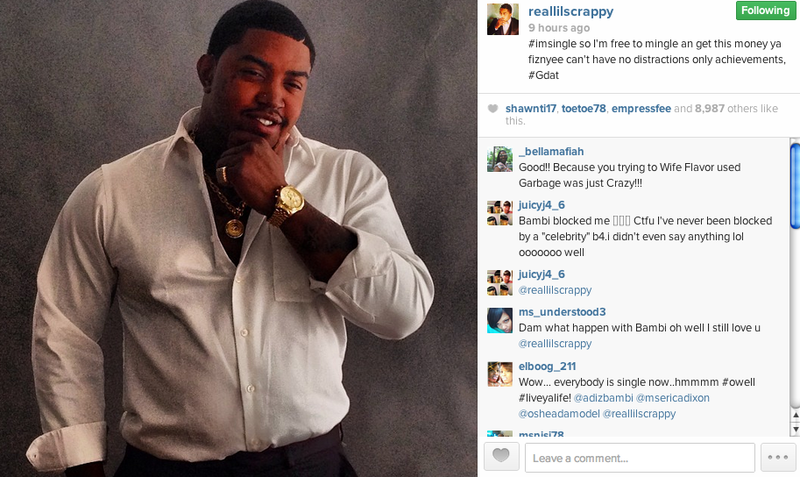 In a surprising twist, Lil Scrappy also didn't spend the special day with his boo thang of the moment, Bambi. A picture then surfaced of Erica and Lil' Scrappy together at an event on Valentine's Day. I knew right there that something fishy was going on. 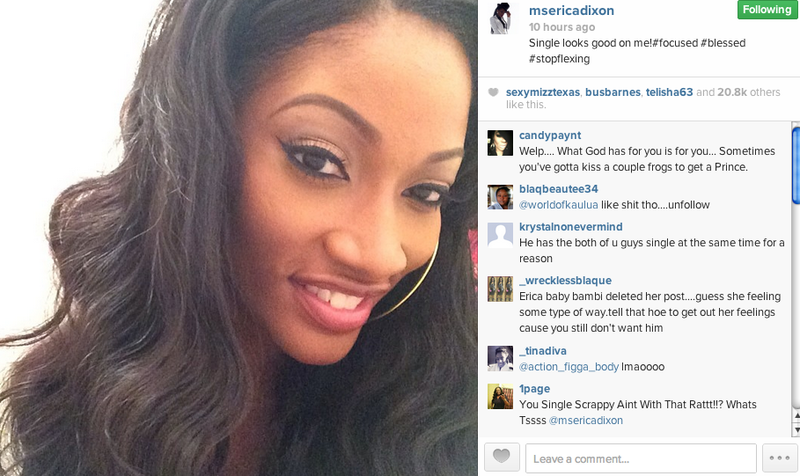 Welp, last night, on Instagram, Erica and Scrappy each announced they were single within an hour of each other. Are these two planning to reconcile and get back together for the sake of their daughter? Check out the "I'm Single" announcements! Oshea and Bambi's gums weep! They both basically got played and dragged by Erica and Scrappy. Like, how are you all up on Instagram making collages about how in love you are with your boo when deep down inside, she's plotting to get back with her baby daddy? Don't even look at me crazy, you know that's exactly what's about to happen. Erica and Scrappy are in love with each other and they both are in love with their daughter. It only makes sense that they will try to work things out (for the gazillion time). What do you think about Erica and Lil Scrappy announcing their breakups on Instagram? I knew they would eventually get back together! If they're happy, so am I!